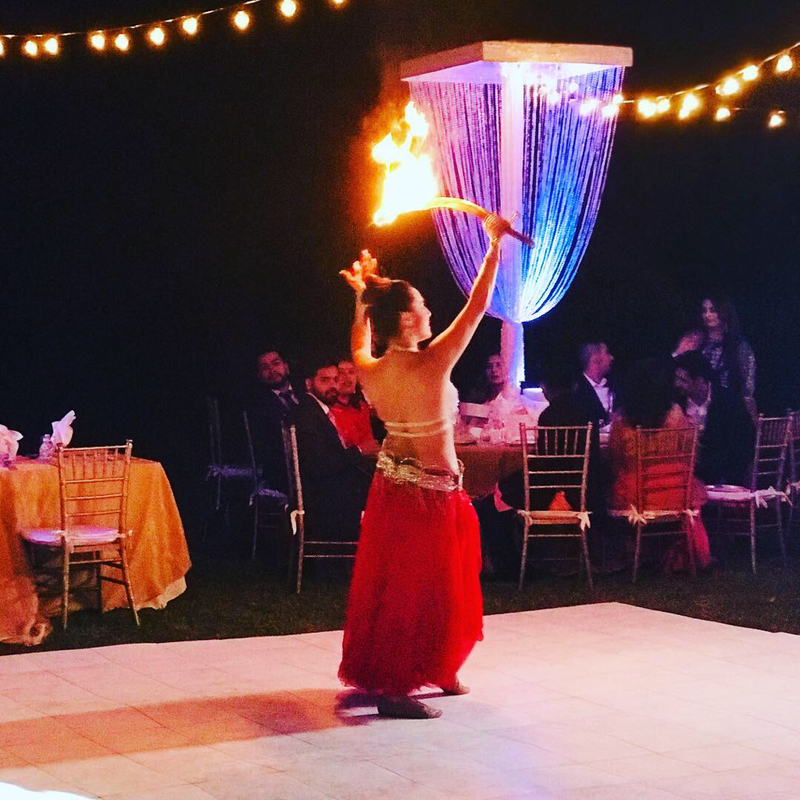 Hire A Fire Dancer Belly Dancer - Islamorada Barefoot Dance Studio provides Fire Eating, Fire Dance, Polynesian Fusion Luau Fire Show, and Bellydance Entertainment for Weddings and Event. The performance will usually last between 20 to 45 minutes, depending on what the event requires and on guest participation. 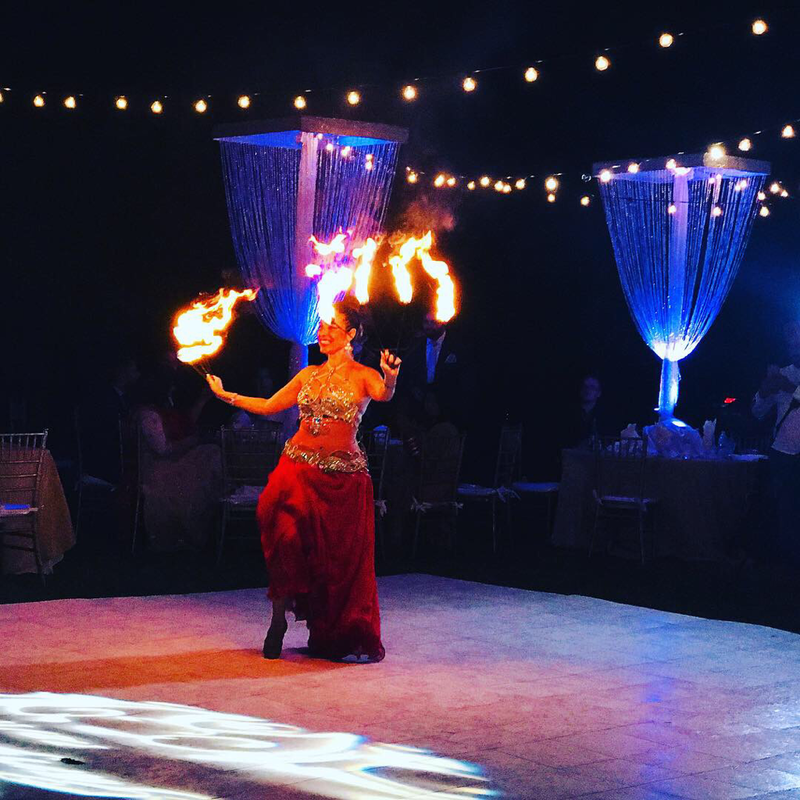 The minimum cost for a short dance performance of 20 minutes without fire is $250.00 which included Isis Wings Entrance, Veil, Drum Solo, dance and take pictures with guests. Fire and LED Wings show is $375.00 to $500.00 depending on the length of time required or holiday booking demands. The show includes Fire Eating, Fire Fans, Fire Sword, Fire Palms, and LED Wings. The music provided has a lot of hand drumming and sensual desert swirl melody. This is perfect for Outdoor Beach Weddings and Events. Ballroom and indoor entrance piece starts with an unveiling from within shimmering wings. The next piece of music is upbeat and it's time to interact with the audience. The Veil dance is by far requested for dinner performances. Sword balancing and tricks plus fire eating can be added. The performance always ends with a grand drum solo followed by pictures with guests and guest of honor. A full performance will include use of all props. Each added prop is an additional $25 and each adds about 5 minutes to the show. LED isis wings, fan veils, sword balance, fire wands/eating, fire fans, and fire sword). Daisy has chosen a piece of music for each prop to show off her skills and wow the audience with her tricks. You may request your music preference. Daisy can also perform with you're hired musicians. 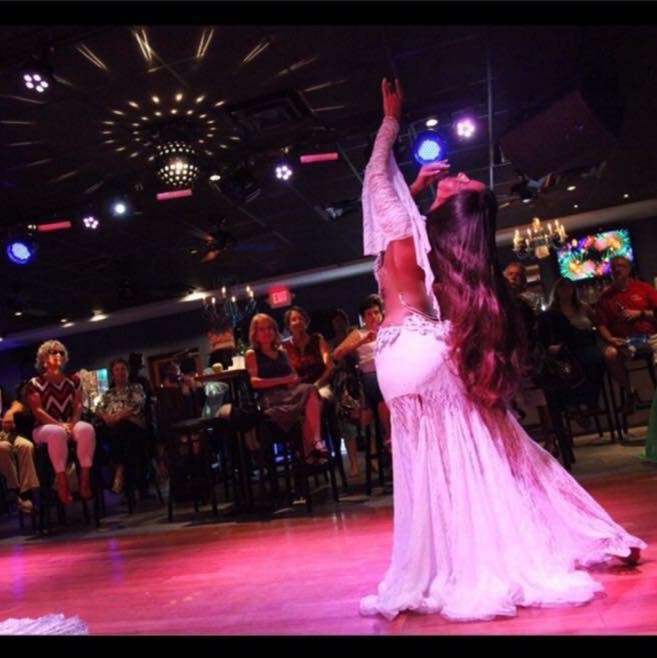 Additional services provided: live drummers, musicians, ambiance dancers, and group performance of two or more bellydancers. Engaging and interacting with the audience is Daisy's specialty. 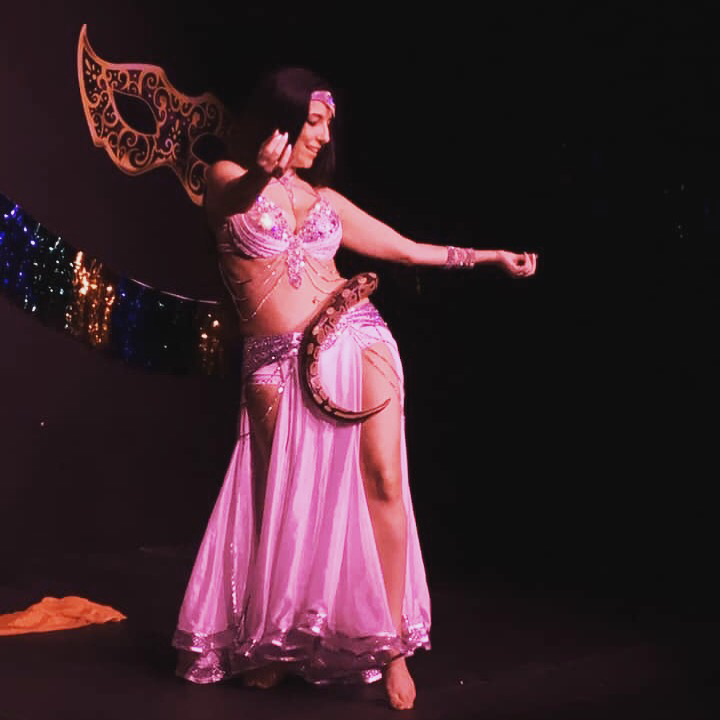 Depending on the occasion she will have the audience drum with their hands, learn some moves, turn a veil into a harem headpiece, assign moves to each table, etc. 1. The remaining balance. Since there are back to back events we like to collect upon arrival so we can leave to the next event immediately after the dancer poses for pictures. 2. Show the performer to a restroom. In between events the dancer may need to stretch, touch up makeup or change costume. 3. Show the assistant to the dance floor and to the DJ or sound system. The assistant will take care of turning off ceiling fans that may affect props and he will adjust lighting for use of fire or LED props. The assistant will also make sure the dancer comes out as soon as the music begins. Please note that Daisy does not encourage guests to tip on her costume. Tips are welcome after the performance or showering the dancer with money is also acceptable. However a tip is not required. Your business is greatly appreciated. Things you need to know about the dance space required. The dance space needs to be a dry, flat, and even surface. Pavers are not suitable as a dance area. Low ceilings and fans limit the use of props. An indoor space is required during the summer. Also, if it isn’t your property, like a restaurant or place of business, you must get clearance to have a performer. We only provide music on an iPhone. If you do not have a DJ with the ability to play off of an iPhone then we can provide and setup a Bluetooth Portable Speaker for $25.00. Sounds like a diva right? Actually all these things are required to give you you're money's worth, so please work with us to provide you with an unforgettable show. Valet Parking - Please provide us with the room number to charge the valet parking. - Watch videos, pictures, and social media. The picture you see may be an old picture or an agency that hires different dancers. You're looking to see if this is the person you're hiring, the type of costumes she wears, and full videos of performances. 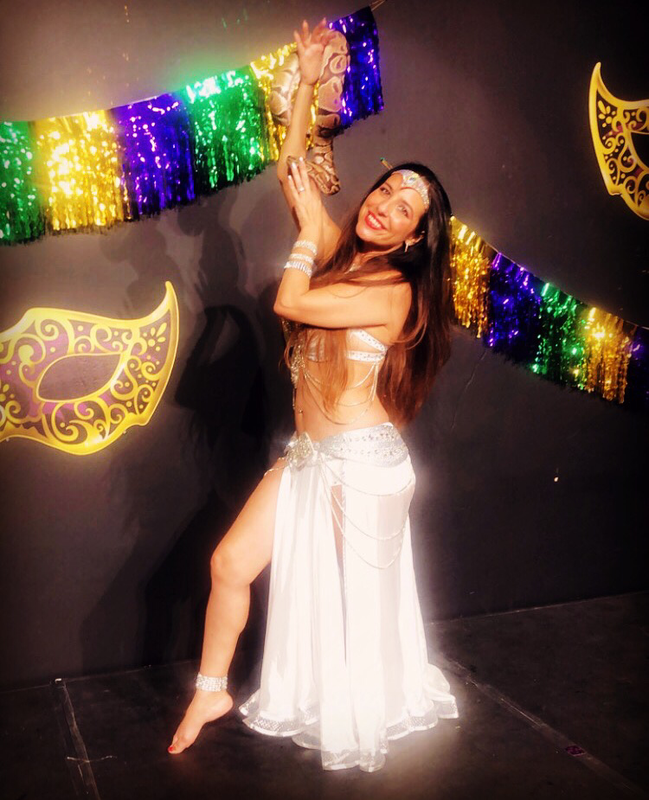 - Bellydancer's get paid well enough to afford an assistant. This is especially important when your planning a surprise entrance or handling various props and fire.